Braille alphabet letters. Alphabet for the blind. Tactile writing system used by people who are visually impaired. 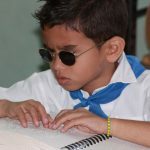 Braille is a writing and learning system that helps the blind or visually impaired to read and write though tangible means or by touch. It consists of raised or mounted dots arranged into ‘cells’. the bigger dots are used to represent the raised dots while the smaller ones facilitate in identifying the position of these dots inside a cell. The smaller dots do not show or are not exactly outrightly visible in the embossed Braille. Louis Braille devised this system in the year 1821. There are six dots constructed from the basic Braille numbers, alphabets, punctuation, symbols, and characters. Now, these dots are positioned in two parallel lines with three dots in each line making the figure six, like on the dice. 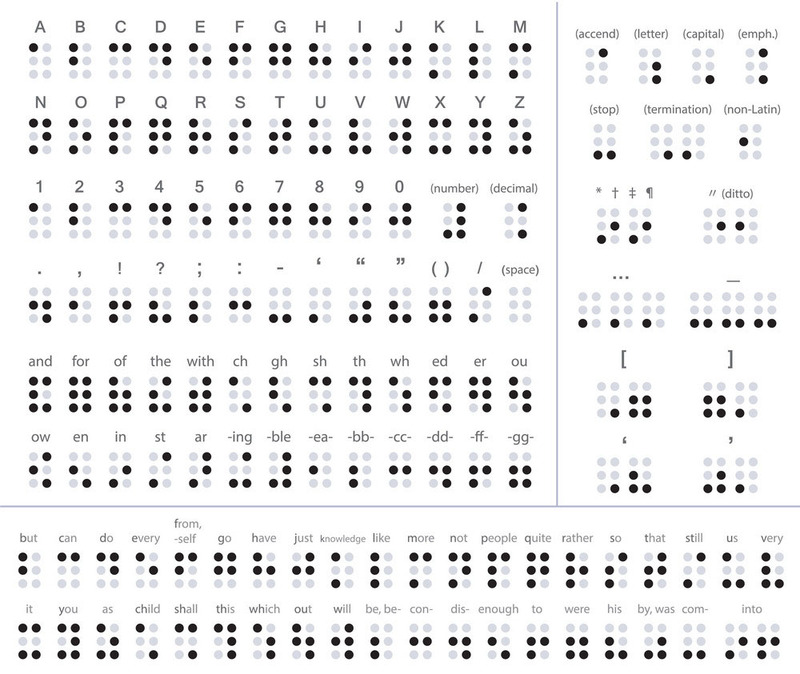 From these six dots making the grid, around sixty-four alternative configurations can be formed which are also visible in the Unicode Braille Code chart. This Unicode block code for the six dot braille is U+2800 – U+283F:. The primary ten letters of the alphabet are created by utilizing the four top dots- 1,2,4, and 5. By adding the 3 dots, the next ten letters are formed and adding the 6 dot makes the last six letters. However, one exception of ‘w’ does exist. 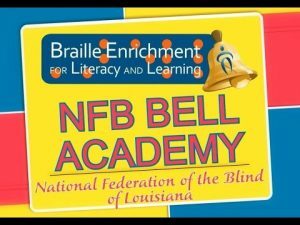 It was not utilized very often in the French language when Louis Braille had created this system. Punctuation is presented through its own different set of dots which are usually found in the bottom or lower part of a ‘cell’. 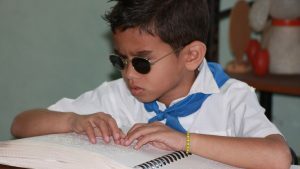 Contractions are also a part of the Braille code apart from the alphabets. They are basically braille cells which can stand for a combination of full words or letters. The numbers in Braille are created by placing the number sign using dots 3, 4, 5, and 6 prior to the letters ‘a’ through ‘j’. There is also a special code used for science and math notations known as the ‘Nemeth’. From country to country the language can be different, but the letters a to z are mostly represented in a similar manner. The numbers also are identical to the Braille alphabet characters. The only exception is France. There are certain common codes categorized as the Unified English Braille (EBU) Code and the EBU European Braille Code among the countries. Many computers or laptops actually have the braille font installed in them. If you have them then the braille number sign can be typed on the keyboard using the symbol #. This particular # symbol can be found over the 3-number key on one’s keyboard. For instance, you can type the number 375 by typing #cge on your keyboard. 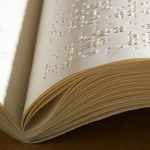 Learn more about Braille by knowing about our previous design of software ‘Libbraille’ which is used to display Braille.